SNOWMASS VILLAGE – Approximately 1,200 mountain travel professionals from resorts across the country are in Snowmass Village this week to network, conduct business and ski and snowboard together. They’re all here for the Mountain Travel Symposium, an annual conference for ski-resort professionals now in its 38th year. The main purpose of the event is to bring players in all different aspects of the industry together, according to executive director Bruce Rosard. But for businesspeople in Snowmass, it is also an important opportunity to show off. The symposium includes three separate business exchanges for trade (tour operators and suppliers such as resort companies, hotels and airlines), groups and meeting planners. Some people attend all three exchanges, while others are focused on one area. 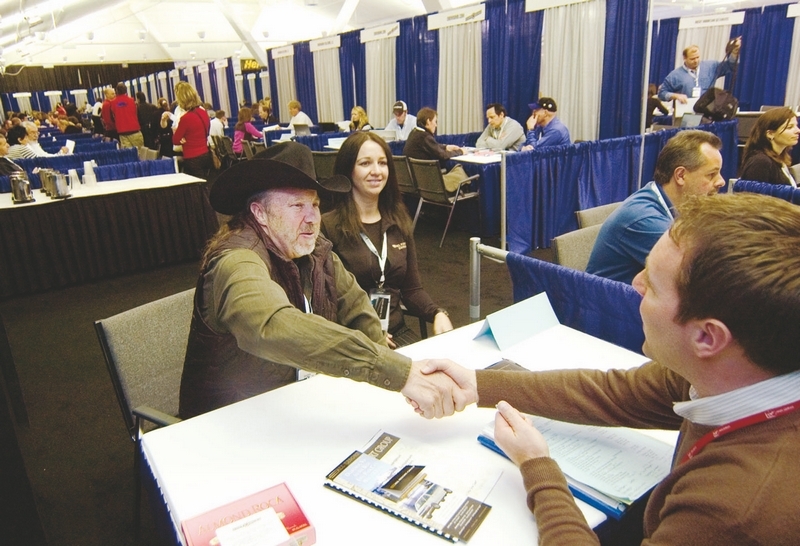 Susan Hamley, director of Snowmass Tourism, said members of her organization will take advantage of the one-on-one meetings with buyers in the group block. “(The group exchange) allows us to increase awareness of our resort among tour operators, for example, generating new business from that channel,” Hamley said. Many people also attend the educational sessions, which Rosard said are appropriate for all three groups. This year the topics include catering to mobile-device users and using social media for marketing. Executives from Google and Facebook will speak about using their sites for travel marketing at a session Wednesday. Aspen Skiing Co. spokesman Jeff Hanle said that the networking is a key reason to participate. The symposium bids itself out to different resort towns well in advance of each conference. One of the reasons for choosing Snowmass Village for this year was that the Westin, where all of the symposium’s business events will be held, just completed its renovation, Rosard said. The Mountain Travel Symposium fills hotel rooms in a quiet time of year, Rosard pointed out, and it is also an opportunity for Aspen and Snowmass Village to show off. Hamley said Snowmass Tourism is excited to showcase Snowmass to attendees who haven’t been to the resort in a long time. Registration for the Mountain Travel Symposium is online. The forum, which is the educational part of the symposium, takes place Wednesday and Thursday. Forum tickets are available at half-day, one-day and two-day rates starting at $245. To purchase tickets or for more information, visit http://www.mtntrvl.com.